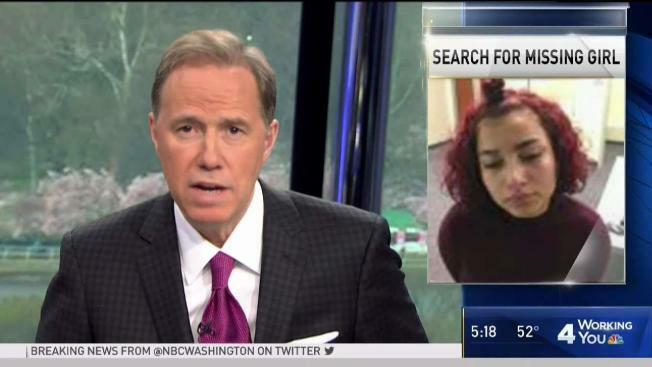 A 16-year-old girl who police said might be in danger after she went missing in February has been found safe, Fairfax County police say. Angelica Flores of Alexandria was first reported as missing on Feb. 17 after leaving a juvenile facility called Shelter Care. She was supposed to stay at the facility while waiting for a court proceeding and left without permission. Police tweeted Thursday night that Flores had been found. The police department said it would release more information on Friday. Police said earlier in the month that Flores may be in danger. Flores is affiliated with gang members and associates of gang members, a police report said. More than 250 juveniles, including 184 kids thought to have run away, have been reported as missing in Fairfax County this year. One of those missing young people, Jholie Moussa, also attended Mount Vernon High School before she was found killed. Those cases do not appear connected, officials said, but local lawmakers questioned whether authorities should investigate missing juvenile cases differently. "I have concerns whether people in different communities are treated the same when situations like this arise," state Senator Scott Surovell said. Police say they have guidelines but there are too many missing juveniles to do a public appeal for each individual. "We don't put every one out unless it rises to some sort of level of danger," a police spokesperson said.